It's a great way to ramp up your enjoyment from your digital photography. You get to see your favorite photo every day while enjoying your cup of Jo. Whether you are filling your photo coffee mug with delicious hot fresh brewed coffee, your favorite soft drink, or maybe even your using your mug for a beer or a cocktail. 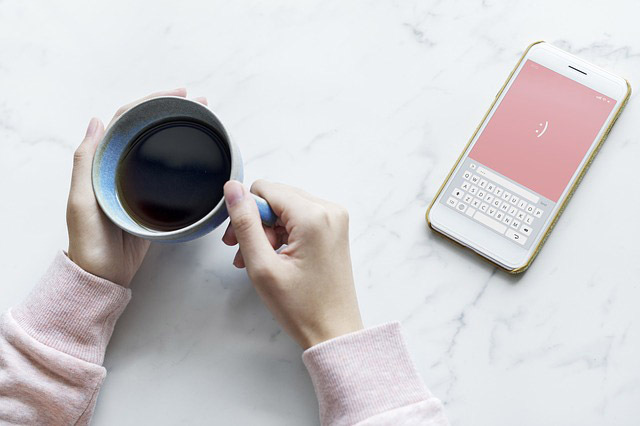 Who says you have to use your new digital creation as a coffee mug? A personalized photo mug serves up more than a cup of coffee or tea. It's a cup of inspiration and good feelings, seeing a photo that you've taken. Write down a few ideas on a piece of paper. Do a little brainstorming. Get creative. Have some fun. What kind of image would give you the most enjoyment on your mug? 1. FIRST, use the photography tips that are on this better digital photography tips web site to learn how to take better pictures before you make your photo mug. 2. CHOOSE your favorite photo mug maker. There are quite a few to choose from. Do several Google searches. I have personally used Shutterfly and been happy with the results. 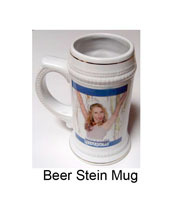 The Stein Photo Mug and the Travel Photo Mug photos are from basketballphotogifts.com. 3. ARE YOU right handed or left handed. Design your mug layout by remembering which way your photo mug will be facing. 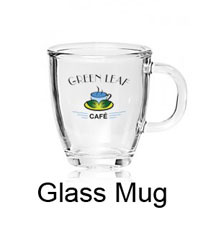 See if the mug you are considering is two sided or a wrap around design. 4. 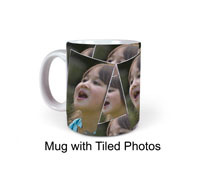 CHOOSE the digital picture you want to transfer onto the mug. Make sure that this picture has a good resolution, is clear and shows sharp detail. Edit the picture with a photo editing program to enhance color and contrast and to perform red-eye reduction and other corrections. 5. 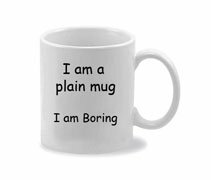 PERSONALIZE your mug with a caption, date or other message. Have fun with this. How about an "I Love You" message to your sweetheart? 6. RESIZE it to fit on the mug and save the final image as a new file. Make sure you can preview it before you order. Decide if it's better to use a vertical digital photo or a horizontal picture instead. 7. MAKE SURE your photo mug is Microwave and dishwasher safe, unless you don't mind washing your dishes by hand. This web site is full of tips for improving your digital photography techniques and there are many of ways for you to learn how to take better digital pictures. Here are several posts on making your personalized photography mug while your at home. This web site is full of tips for improving your digital photography techniques. There are many of ways for you to learn how to take better digital pictures. Starting with a better picture will help make a photo mug look better. You will enjoy looking at it, enjoying the digital photograph you created, and drinking from your mug a lot more. What's Your Mug Gonna Show?